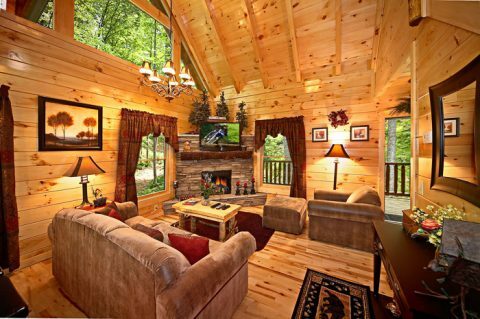 "Adler's Ridge," a Smoky Mountain cabin in the woods at Sky Harbor Resort, provides guests with a beautifully decorated cabin for a romantic mountain retreat. 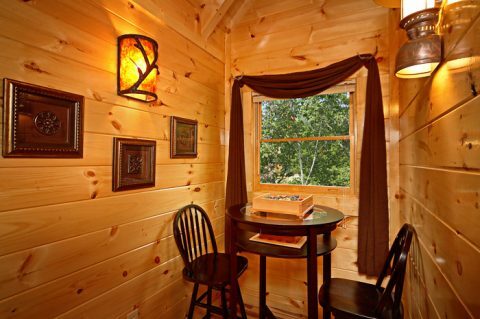 Resting in a forested setting, your cabin between Pigeon Forge and Gatlinburg invites guests to relax and enjoy the peaceful natural setting of the Smoky Mountains. 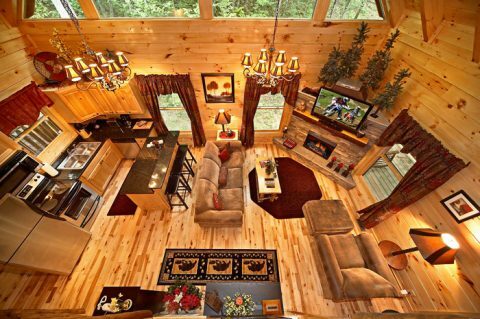 This Smoky Mountain cabin allows guests to take in the natural landscape that surrounds this luxurious one-bedroom cabin rental. 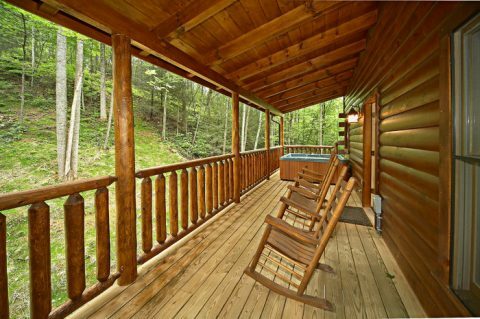 Enjoy a relaxing evening on the covered porch in one of the cabin's rocking chairs or take a dip in the private hot tub surrounded by nature, all while taking in the wooded scenery around you. 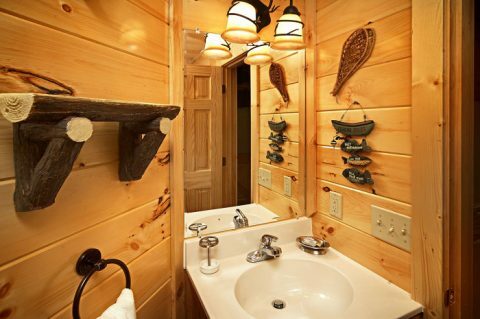 As you enter the rental cabin, inviting decor, handcrafted log tables, birch hardwood floors, vaulted ceilings, and tongue & groove log walls embrace the rustic appeal of the Smoky Mountains. Hanging above the custom log mantel, the 42" plasma television with built in surround sound and HD cable provides everything for a movie night with the family. 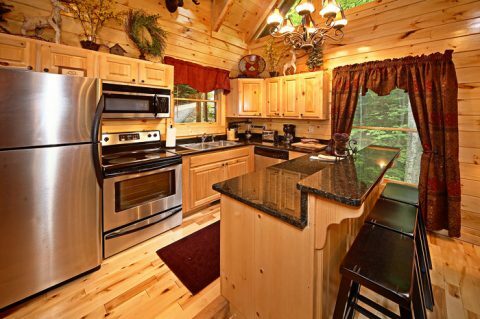 In addition to your comfortable living room, this Smoky Mountain cabin offers a fully appointed kitchen with stainless steel appliances and a breakfast bar, offering a great space to cook culinary creations the whole family will love. Save on packing costs with your convenient washer and dryer combo. 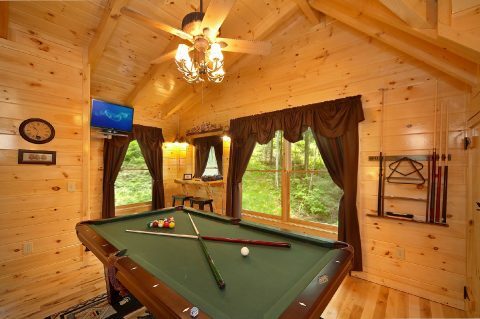 Your game room offers all the entertainment options needed for in-cabin entertainment including a pool table and 20" flat screen television with DVD player. The bar and pub table offers an extra seating area, perfect for entertaining guests. 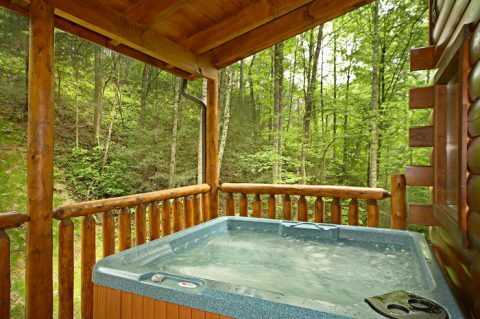 The Smokies are filled with adventure, but everyone needs relaxation, too. 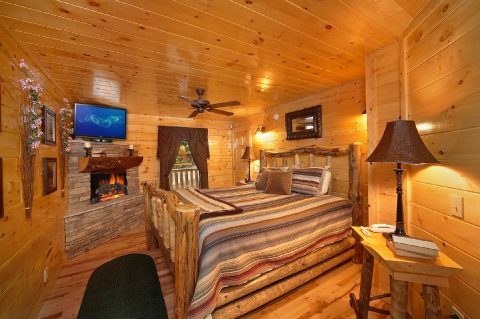 Your Smoky Mountain cabin offers the chance to relax with its master suite with king bed, electric fireplace with stone mantle, jacuzzi tub, TV, and full bath. 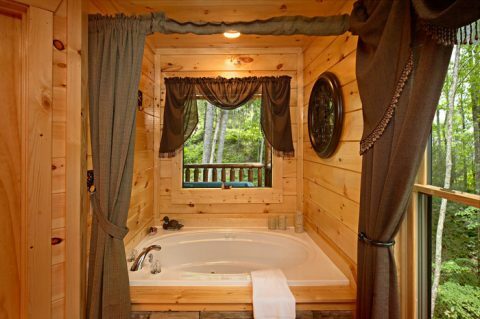 After a day of fun in the Smokies, this master suite is perfect for unwinding in the mountains. 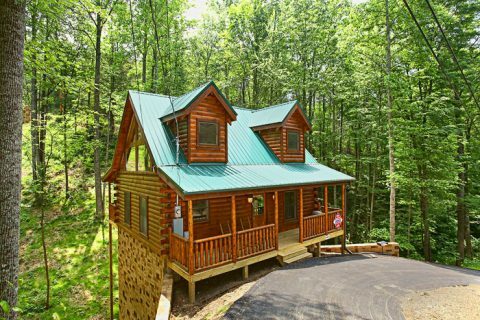 Searching for Pigeon Forge cabins? 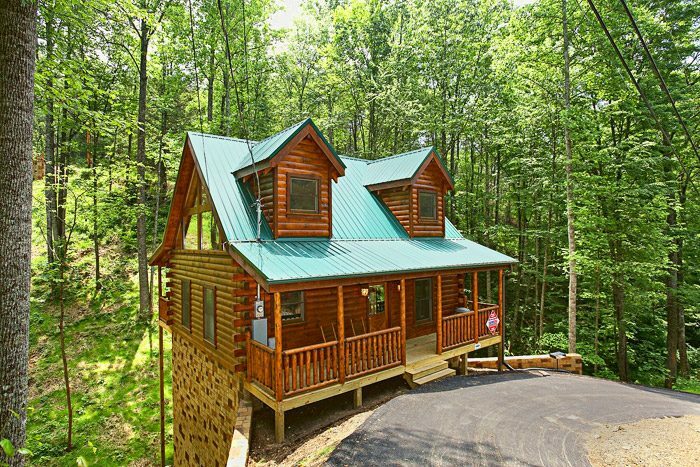 "Alders Ridge" offers an affordable Smoky Mountain cabin great for making your Smoky Mountain dreams come true!